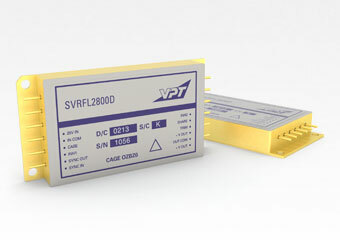 SVRFL2800D DC-DC Converter | VPT, Inc.
VPT’s SVR Series of DC-DC converters deliver a qualified power solution for your next LEO, MEO, GEO, deep space, and launch programs. Rad hard, qualified to MIL-PRF-38534 Class K , and designed for TOR compliance, these modules help you get your system off the ground fast. View VPT’s space program heritage. Combine our extensive family of DC-DC converters for space with VPT’s point of load converters for space and EMI filters for space to create a light weight, extremely efficient, space-qualified distributed power system. Packing 100 W in an efficient, hybrid package, the SVRFL DC-DC converter is guaranteed radiation hardened including ELDRS plus it’s designed for Aerospace TOR compliance for the longevity of your space mission.